How Can You Benefit from what we do at MetroTech Digital Marketing SEO? More people finding your business means more people want to buy your products or services! For consumers, the number one starting point is search. Having your company’s site on the 1st page of the results on Google will drive more people to it! According to Google’s research, 90% of internet users use search to find local businesses! Your local customers will find your business with ease! 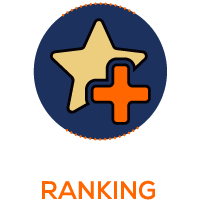 We send monthly reports with rankings updates and noteworthy news, to make you aware of any changes in the industry and advising recommendations to help secure your presence online. If we don’t deliver, why should you be forced to stay with us? The first question someone usually has when they hear the phrase “search engine optimization” is “what is that?”. A writer who spends their time writing content for SEO(search engine optimization) campaigns likely has to answer this question on a regular basis when asked about their work. The same could be said for a marketing professional who works in a digital marketing firm. Likewise, a business owner may need to explain the concept and the need to invest in it to his employees. So far, just from what you’ve read in the content above, you may have figured out that SEO stands for search engine optimization. You may have also figured out that it is somehow related to digital marketing. Finally, you may have also deduced that it involves writers who write content. These are all true statements, but barely enough to be considered an explanation of the subject. Let’s start with the first point that you discovered. SEO stands for “Search Engine Optimization.” Those three words explain the entire concept very nicely. 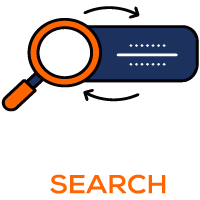 The first two words “Search Engine” usually refer to Google (because it is the largest and most popular search engine) but can apply to any search engine in existence. But what about optimization? What is being optimized? The search engine itself is not being optimized. Rather, your website is being optimized for search engines. This is where things start to get a little more confusing. Statistics tell us that more than 70 percent of people click one of the websites that come up on the first page when they search for something via Google. Considering that Google processes more than 3.5 billion searches a day, that’s a lot of people clicking a website found in the first ten results of their search. Furthermore, statistics tell us that more than 30 percent of all people click the very first result in the organic listings. When a person clicks a website link in the Google search results, it is often referred to as a click-through. Each site listed after the first one receives a smaller percentage of click-throughs than the last. By the time you reach the last website on the first page, less than 1 percent of people are clicking that link. This all leads to one very obvious truth: the closer a site is listed towards the top the more visitors they will receive. More visitors is, of course, good for business. It means more leads, more sales, more brand awareness, and more profits in your pockets. But how do you get your website to be listed as the number one site for a search term? Through search engine optimization. SEO is a digital marketing strategy that focuses on the optimization of your website according to Google’s ranking algorithm. This optimization results in your website being listed at or near the first result for a targeted keyword. That is the fundamental underlying goal of search engine optimization. Of course, as with any marketing strategy, you want a higher goal than this, but this concept will work for the purpose of explanation. Achieving this goal can be rather difficult. It involves two separate fields of focus. The first field is called on-site optimization and the second field is called off-site optimization. Both of these are vastly different, yet equally important. On-site optimization is all about writing high-quality content that includes the targeted keyword you want your web page to be ranked highly for. That’s where the writers mentioned earlier come into play. 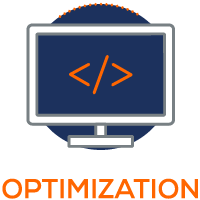 It also involves other areas of optimization such as titles, descriptions, images, videos, and such. The second area, off-site optimization, is mostly about building up a list of links that lead back to your website. Google likes it when authority, high-quality websites link to other sites. That makes Google think the site being linked to is credible and worth ranking highly. The information covered here is still only a drop in the bucket. There’s so much to learn when it comes to SEO that it’s best to leave it to the professionals. If you’re already running a business, then it’s a good idea to hire the services of a professional digital marketing agency to help your site reach the top rankings. Depending on your needs, we can offer different levels of service for your business. Example: we can help you to position your site to the top or close to the top of the search engines for specific keywords that relevant to your business. MetroTech Digital by completing our Discovery Form here. 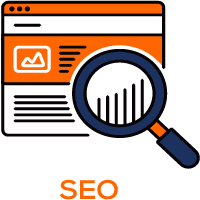 We look forward bringing you the highest quality search engine optimization possible to increase the number of customers visiting your site exponentially!